Hard water contains dissolved minerals and that’s hard on your household. By adding a soft water conditioner, your clothes and dishes will be cleaner. Fabrics will be softer, appliances will stay cleaner and last longer. Food and drinks will taste better, you will need less soap and even your skin will feel the difference — softer. Water contaminants can vary based on your home's particular location. Your water quality can be affected by many factors including oil refinement, landfills, gasoline storage, farms, dry cleaners, and factories as well as natural conditions. Schedule an appointment that's convenient for you. We'll show up on time, listen to your water softener, water filtration and purification concerns diagnose your situation, make recommendations and prepare pricing by the job, not by the hour, so there are no surprises. Our water quality technicians will take great care of your home. They wear shoe covers, put down drop cloths, are trained to perform the work you need and will thoroughly clean up the work area. We follow up with a phone call to be sure you are satisfied. We stand by everything we do. This system is a safe, powerful and economical solution for sulfur removal. The hydrogen peroxide can oxidize hydrogen sulfide, ferrous iron, and manganese as well as other metals such as arsenic and selenium. Sulfur can get into your water from a variety of sources. It also occurs in a wide range of concentrations. Carbon can only remove it in low concentrations and is completely worthless if it is coming from sulfur bacteria. We believe in providing the best service and education about your water needs. 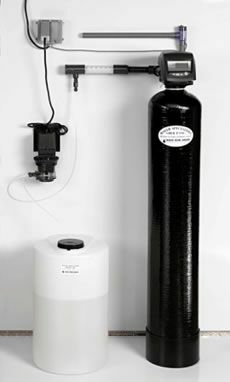 We can help you with your Chemicals, Filters, Reverse Osmosis, Water Analysis, Water Softeners, Purifiers, Filtration Systems, and all your other Water Treatment Service Needs. Call Plummer Enterprises today at 419-740-7126 for expert, whole house water quality service and products – repair, installation, and replacement for all water softeners, water filtration, and purification systems.